We have become very well known for having the Best.Cookies.Ever! 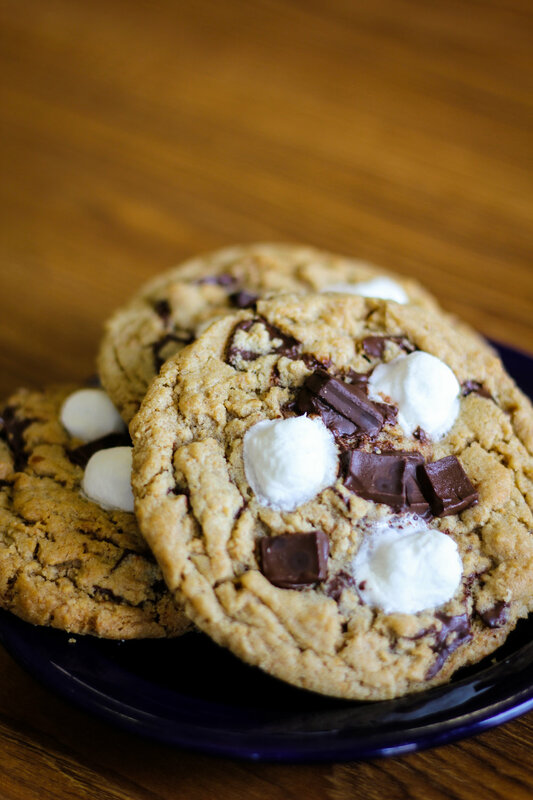 We use nothing but the best ingredients, and develop each cookie in-house; making test batch after test batch until they are worthy of the the title: "Best.Cookies.Ever!" 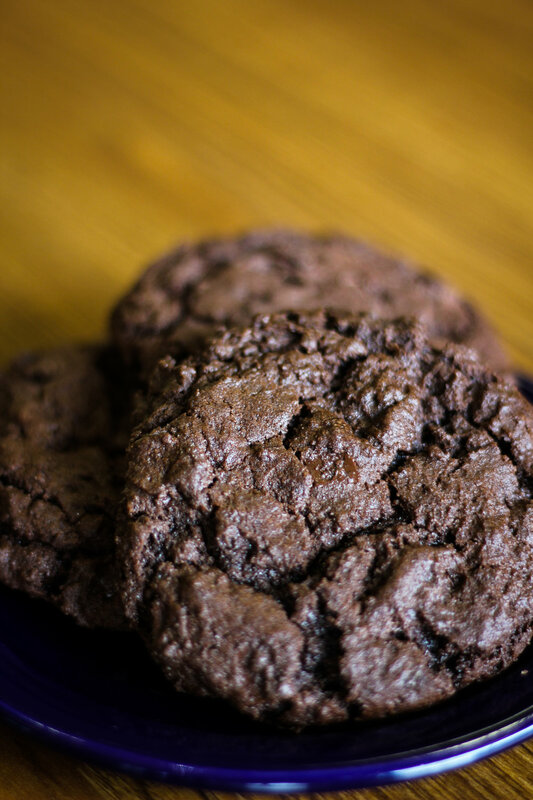 Our cookies are baked in small quantities throughout the day so you get the freshest cookies possible! 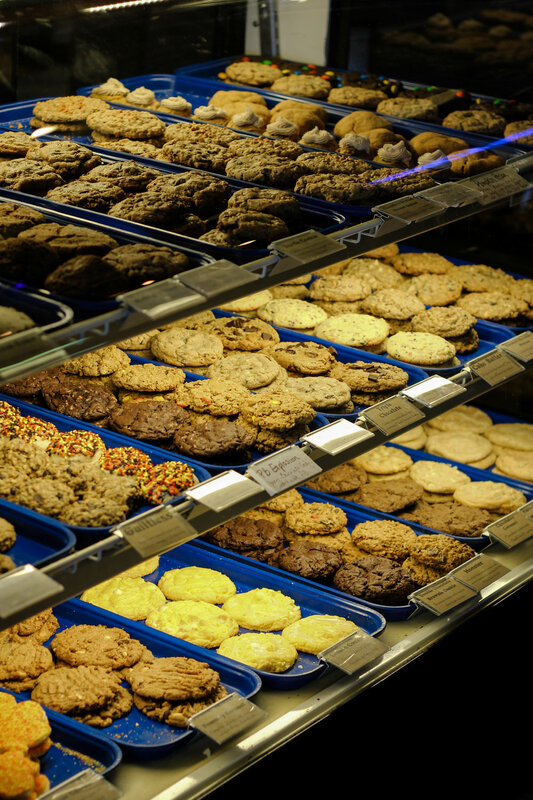 We have 20 to 30 kinds of cookies to choose from at any given time, with different varieties seasonally. 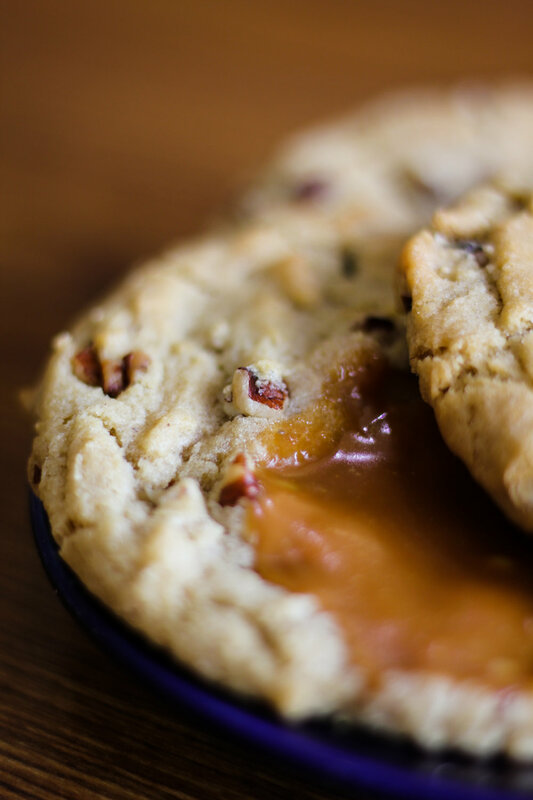 This buttery cookie is loaded with milk chocolate, rich caramel and pecans. This classic cookie is an all time favorite! Shapes and sugar colors change with the seasons. 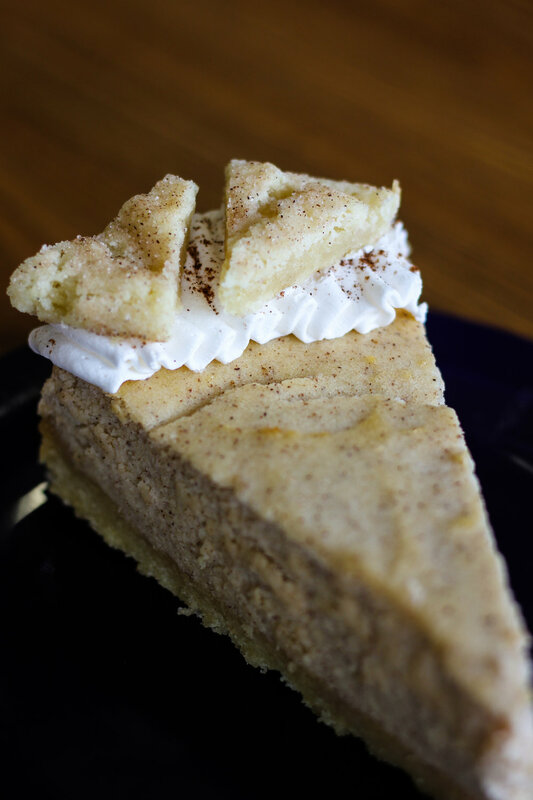 Our Lemon cookie is loaded with lemon flavor, white chocolate and coconut! Oatmeal cookie with raisins and cinnamon. This buttery yummy cookie is rolled in cinnamon and sugar. 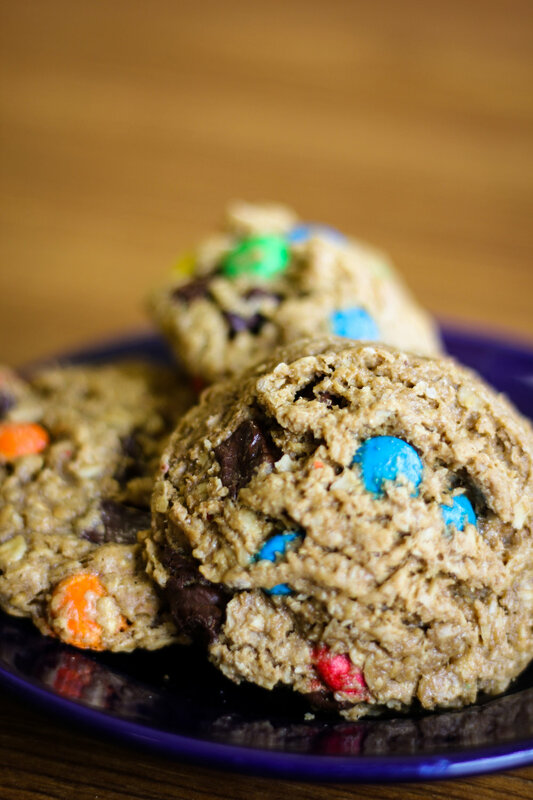 No flour added oatmeal cookie with peanut butter, chocolate chips and M&M's. No flour added peanut butter oatmeal cookie with peanut butter chips, and Reese's Pieces. This is an egg free, super chocolatey cookie topped with M&M's. 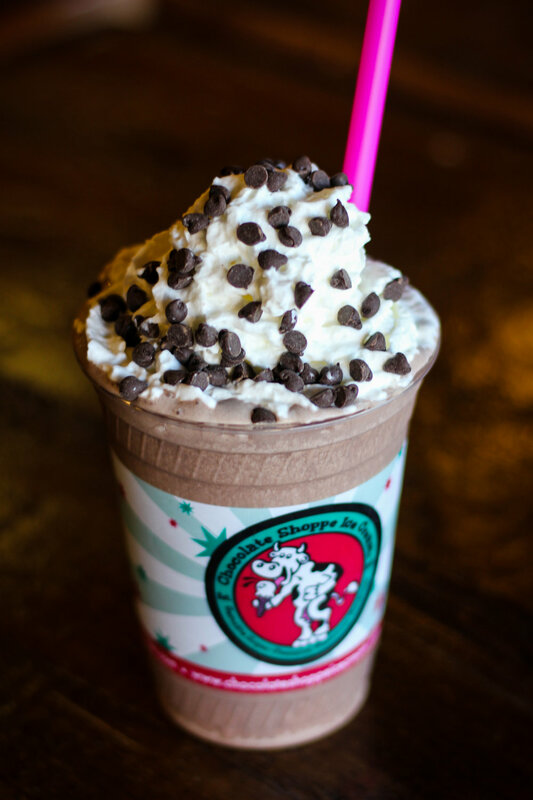 Our buttery cookie loaded with White Chocolate, Milk Chocolate, and Dark Chocolate Chips. Rich chocolate cookie loaded with chocolate chunks. Butter cream frosting and fun, seasonal sprinkles top this cake-like cookie. Milk chocolate cookie with caramel and toffee. Our no sugar added oatmeal cookie sweetened with honey, orange, cranberry, and dark chocolate. 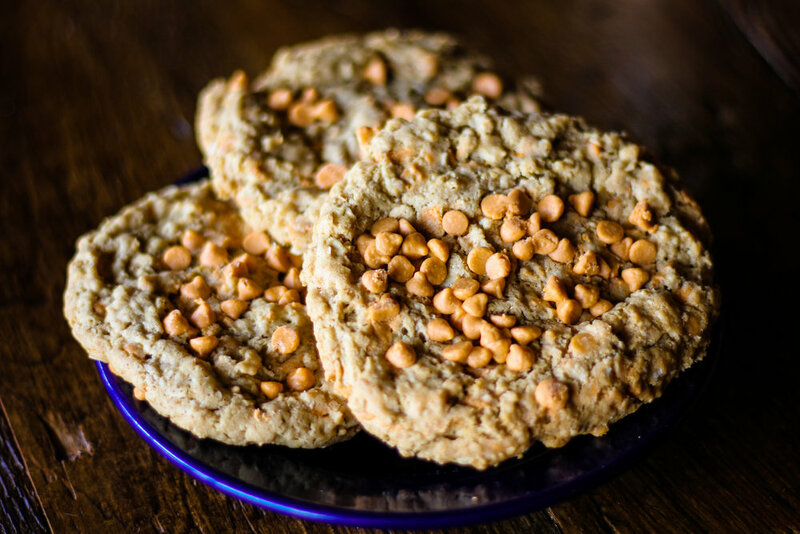 Peanut butter cookie loaded with a sweet & salty taste from crunchy pretzels, chewy caramel, and milk chocolate. Dark chocolate cookie loaded with cool mint chips and Oreos. 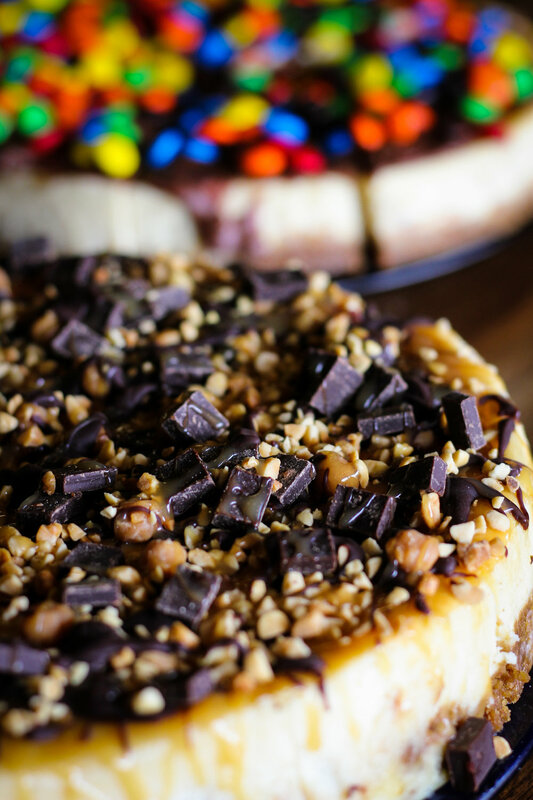 Rich chocolate cookie loaded with peanut butter chips and peanut butter cups. Our spicy, sweet molasses cookie rolled in sugar. Stop by and check out our seasonal cookies! Our homemade, ready-to-eat cookie dough is truly a treat for your taste buds! 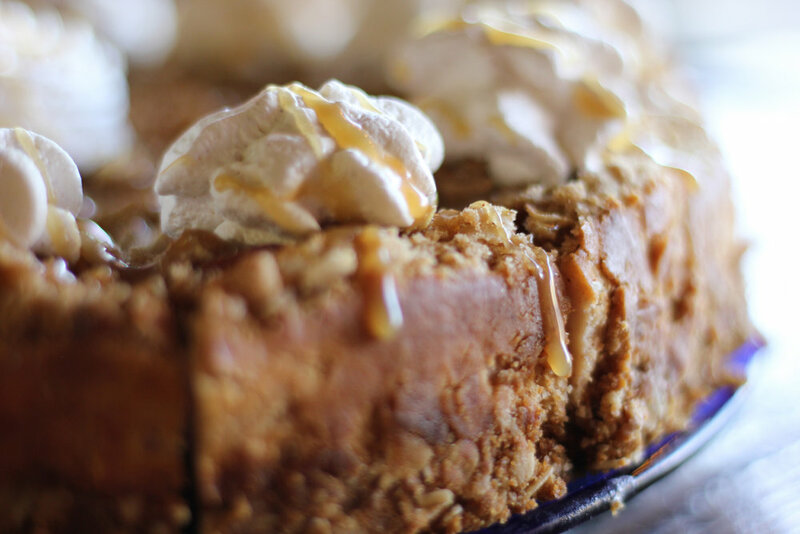 Try it by the scoop, or take a pint or quart home to bake yourself! Call or send us a Facebook message for our current selection! 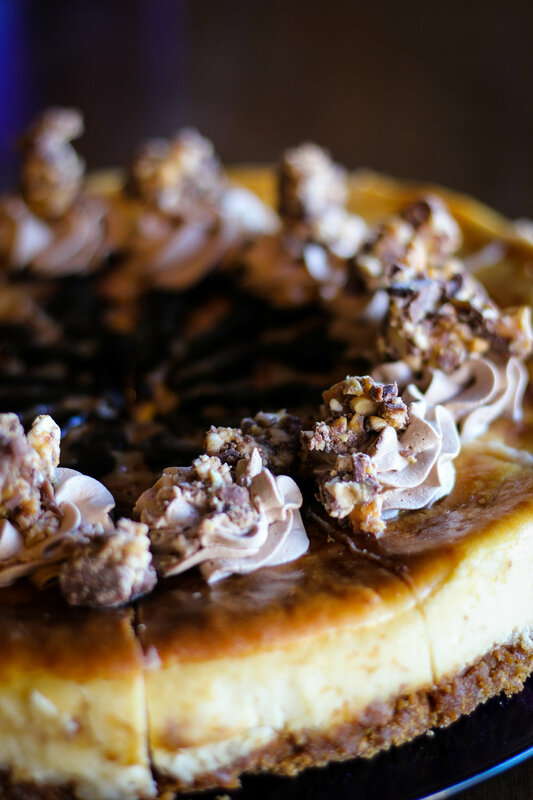 Our made-from-scratch-even-the-crust pies and cheesecakes give grandma's recipe a good run for its money! 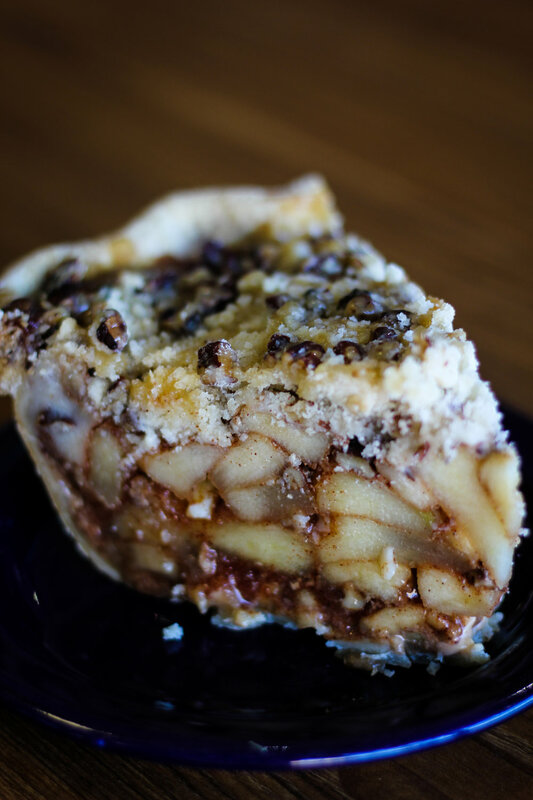 We sell them by the slice, and also offer full pies and cheesecakes for orders! So what does the super-premium in "Genuine Super-Premium Wisconsin Goodness" mean? Simply put, it means the best around! But if 'simply put' isn't your thing, and the intricacies of ice cream-making excite you as much as they do us, then let us entertain you with the fun world that is super-premium ice cream! To be considered super-premium, ice cream needs an 'overrun' of less than 50%. Ice cream overrun refers to the amount of air pushed into the ice cream while it is being made. The standard of 50% overrun means that the ice cream is made with one part air to every two parts cream. 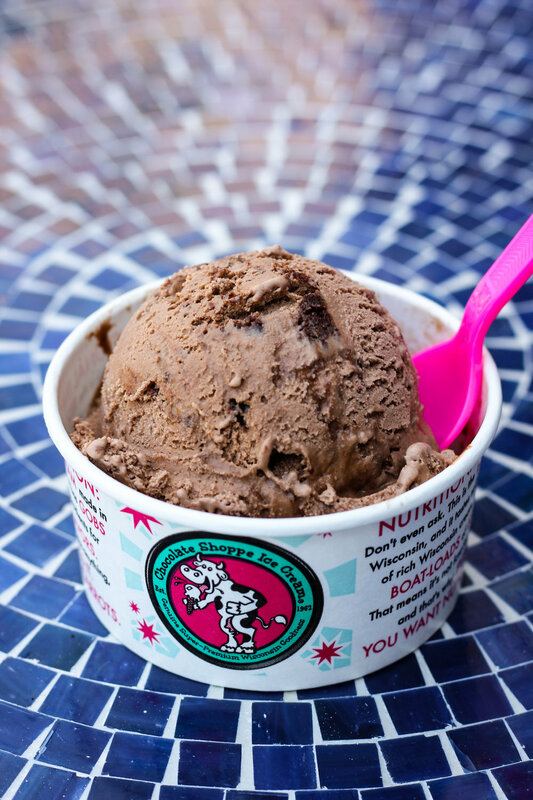 The Chocolate Shoppe Ice Cream standard is 35% overrun, meaning we add one part air to every three parts cream. So why should we care how much air is added to the ice cream? Because the lower the overrun, the creamier, smoother and richer the ice cream tastes! Less air translates to fewer ice crystals, and fewer ice crystals means you get that melt-in-your-mouth creaminess that you can't get anywhere else. Less air also means more cream per lick, giving that explosion of rich flavor you've come to expect from Chocolate Shoppe Ice Cream! 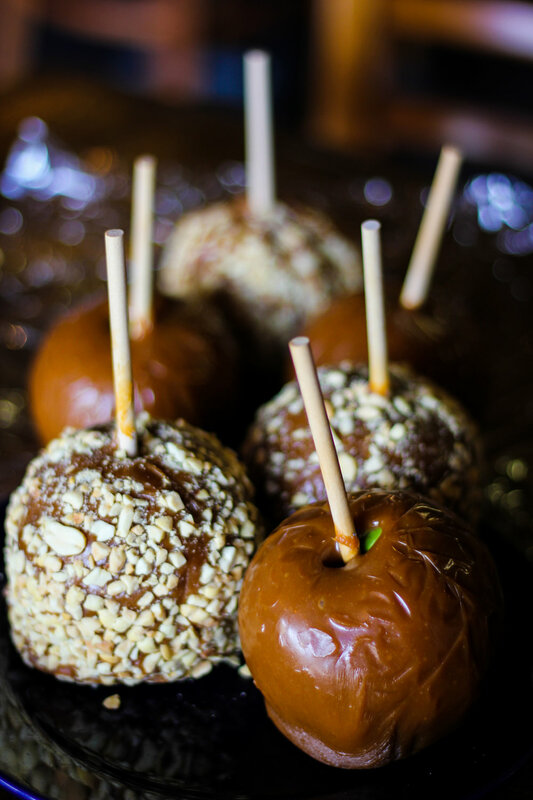 Call (920) 231 - 4540 to order your sweet treats today!